Halloween is so close and I’ve got the decorating itch! While I’m not a huge fan of the ocean with it’s deep dark crevices with predators that are millions of years old and bred for survival….I have a few friends that will enjoy today’s theme: MERMAIDS! This skull has been making the rounds on my Tumblr ever since I uploaded it. I’m happy that its popular but it’s all I see in my feed these days! This would make a fabulous centerpiece or side decoration. 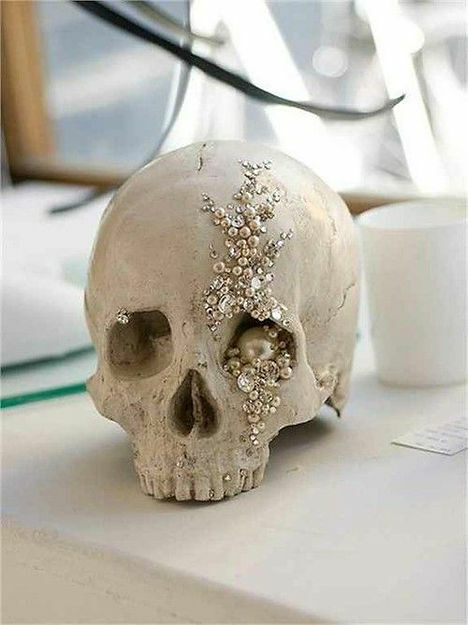 Grab a plastic skull (or a real one if you have one handy) and glue beads of pearls, diamonds, or just about anything you want to it. Pearls are classy and luxurious. Fill at least one eye socket to give the illusion of weight from the pearls dropping to the bottom of the ocean. Add your guests names on a piece of paper and slip in underneath as a name holder, or you can give them out as after party souvenirs! 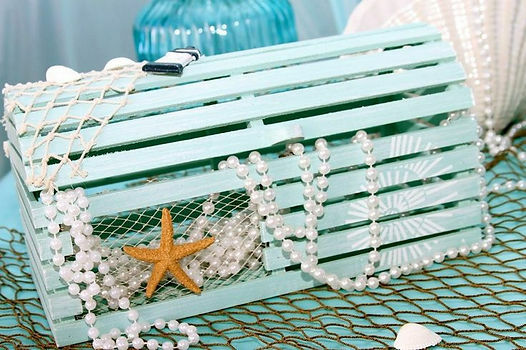 Fill a wooden chest with pearls for class or other costume jewelry and then adorn the outside with sea shells and starfish. It’s a fairly cheap decoration if you go to the thrift store. You can also fill it with food if you don’t have a lot of space and want to double décor as storage. When I worked at a thrift store I would see nautical plates come through our doors all the time and they didn’t stay long. 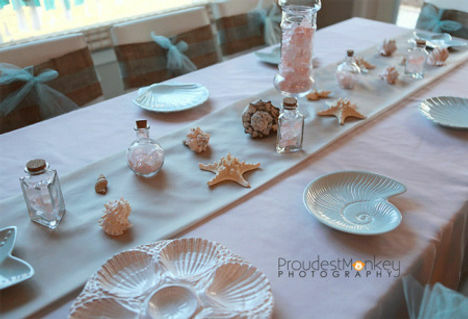 Sea shell plates will lend a hand to your theme while still looking elegant. These silver streamers over a blue cloth will help with the atmosphere of your party. You can buy a bright blue table cloth or find some giant bright blue paper at an office supply or craft store and line the walls with them. Place silver streamers on top of the paper to get this effect. Silver will add a shimmer to your room if you’re looking to brighten things up or you can add varying shades of blue and blue green to achieve a darker and deeper look. 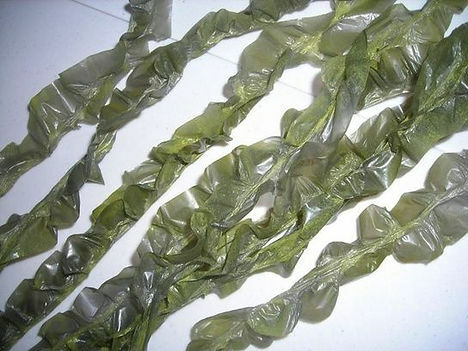 These DIY trash bag seaweed pieces will add texture and realism if that’s what you’re looking for. Hang them from the ceiling or on the walls with your blue paper! 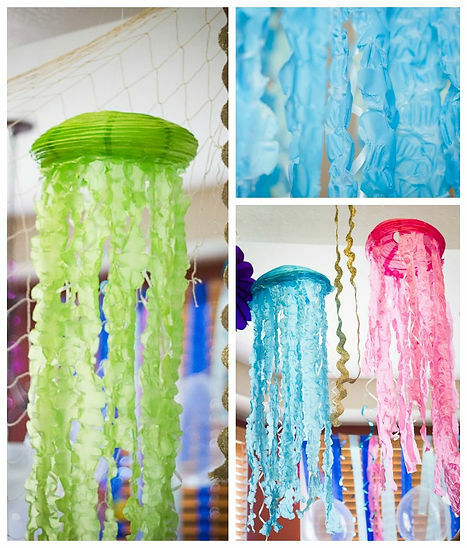 Jellyfish travel in groups so if you go for this DIY jellyfish it would look best if you did a lot of them at once. 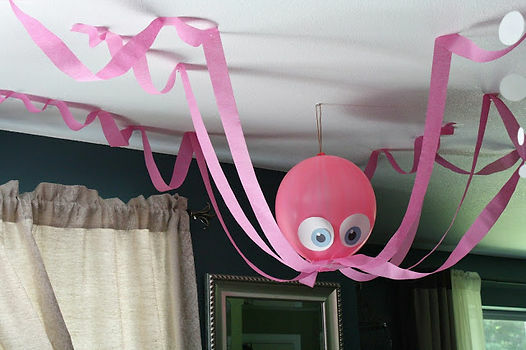 A jellyfish corner for kids or above your snack table are just some ideas. If you make this big fella I think that he should be the star of the room! Put him in the center so he can be a focal point for you and your guests. Maybe you can put a group of jellyfish around him! 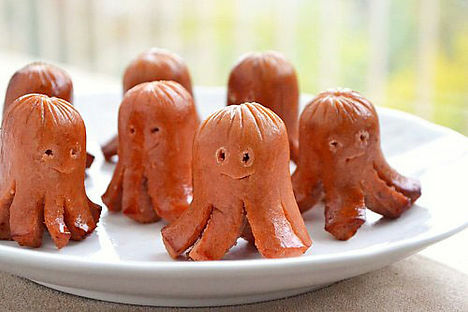 Speaking of octopus, this tasty simply octopus hot dog takes just a few seconds to prepare. It’s a popular snack in Japan and both kids and adults love it! This table setting is gorgeous. It’s very Little Mermaid inspired. If you don’t have tarnished silver on hand you can go to an antique store, thrift store, or garage sale to find some. The candelabra is a great silverware holder and you can hang pearls off them to tie in the other elements of your table setting! 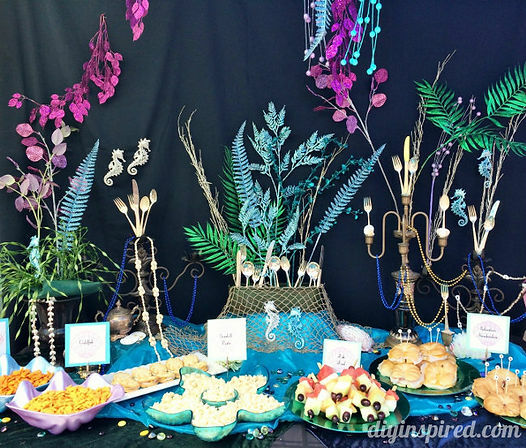 Sea star, seashell, and mermaid tail cookies seem fitting for this party don’t you think? 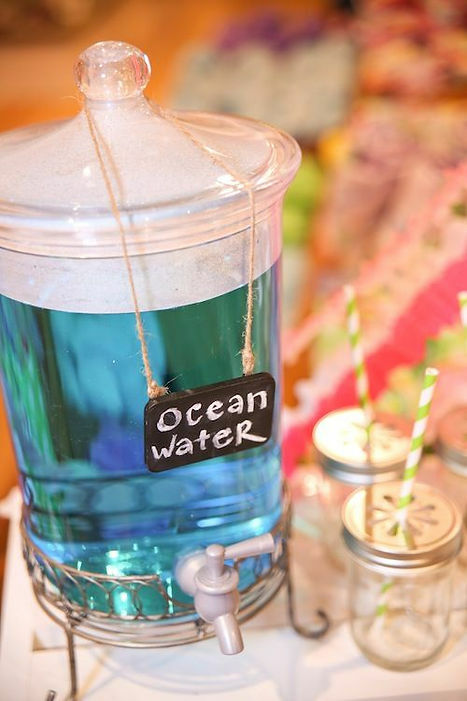 A crisp looking blue drink labeled “Ocean Water” might be the main source of nutrition for mermaids, but is also appropriate for your theme. 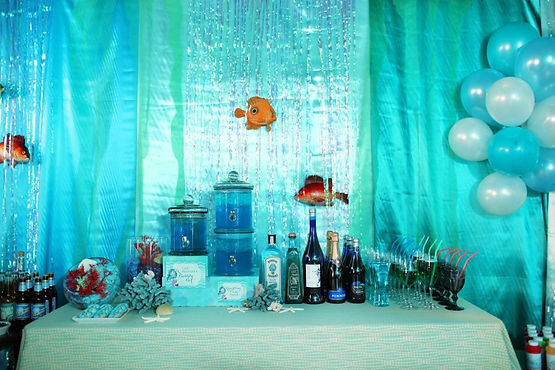 Now all of your guests can drink like mermaids too! I hope you enjoyed today’s theme. Mermaids aren’t my favorite thing in the world but decorating to be a part of their world was a lot of fun. Stop by to see what the next theme is and countdown to Halloween with me! Previous Post Party Theme- Zombies!